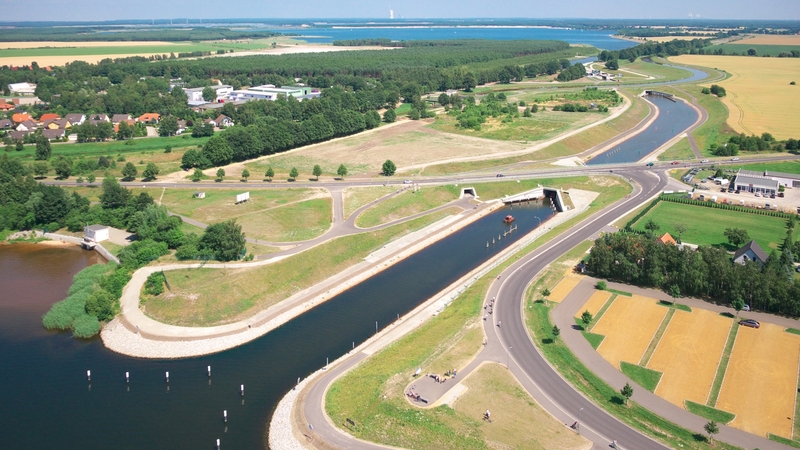 A navigable link between the Senftenberg and Geierswalde lakes (previously: link canal 12) Koschen Canal has been open for use by the public since June 2013. Traffic signals, traffic lights and signposts are installed throughout the canal to ensure efficient and safe navigation. 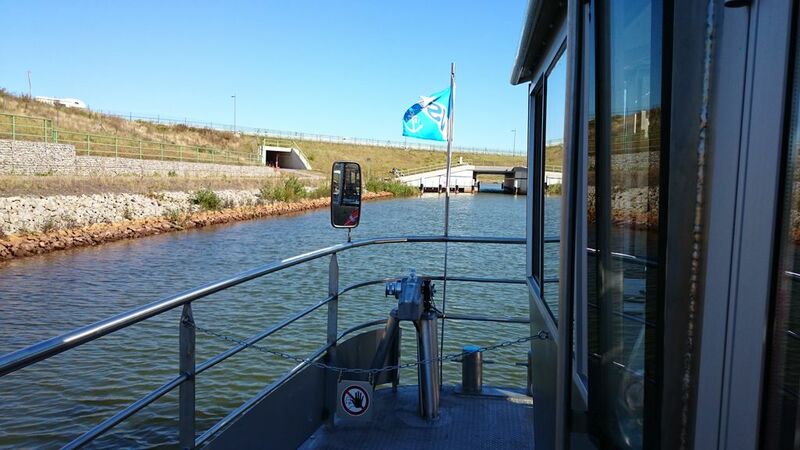 Through passage can be requested from the lock keeper via an intercom system. Exercise care and consider others! Help each other, especially inexperienced skippers. Be tolerant – everybody was a beginner once. Be patient and allow time. Be aware of light signals and signposts (tunnel entrances, off-shore terminals, lock chambers) and/or follow lock the keeper’s instructions. Big boats go first, smaller boats follow. First enter on the right and go to the front, then also use the left side. Use the lock chamber in such a way that all boats wanting to go through find space, if possible. Tether one boat (if possible the last one) so that it can operate the blue and red shift lever. Please operate the blue forward lock lever only when all boats have entered. The red lever is only used in emergencies and stops the locking process. Do not fully tie up boats in the lock – the water level changes. Use technical aids (for example, 3 metres of rope and a boat hook). Tie up/hold boats in the centre if possible or at the bow or the stern. The boat could otherwise turn away. Please turn off motors to avoid unnecessary noise nuisance. When the lock processes are finished, leave the lock one after the other in a considerate manner. Getting on or off a boat is permitted only in case of an emergency. Use the orange coloured call boxes to communicate with lock personnel if necessary. Use the emergency number (112) on the call boxes only when there is a real emergency!